The Goldsmith Religious School Building of Congregation Emanu-El is located at 10 East 66th Street. Unless otherwise noted, students enter and leave from this location only. School begins at 9:30 AM on Sundays and 4 PM on Mondays. Monday students arriving early will be supervised in our Early Room, beginning at 3:30 PM. The Early Room is located in Blumenthal Hall one flight down from the 66th Street lobby. Students are welcome to socialize or do homework. 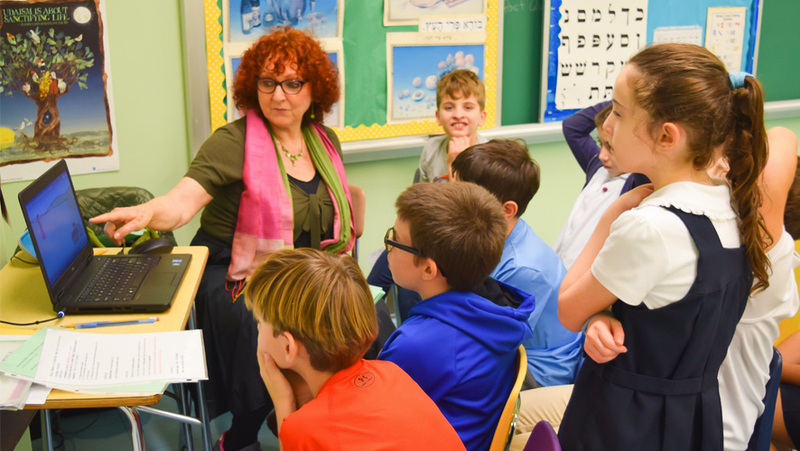 Once a month, students are invited to participate in a mitzvah activity. A light snack is provided. , or by sending their child to school with a note. Please provide the time that the child will be leaving and if the child will be picked up in the lobby or in the classroom. Please note that, for the safety of our students, under no circumstances will we allow a student to leave early without written or verbal permission from the child’s parent or guardian. School ends at 12 PM on Sundays and 6 PM on Mondays. For the security and safety of all children, parents and caregivers must come into the building lobby to collect their children, unless the student has permission to leave unescorted by an adult. If a student has not been picked up within 15 minutes of the end of school, then the student will be brought up to the Religious School office until a parent or guardian arrives. Parents requiring a late pick-up should contact the office so that we can make proper arrangements. Please note that late pick-up is in the lobby of One East 65th Street. We require flash passes for all entry and exit from the Religious School Building. Parents who enter and exit to drop off children must use “red” flash passes. Families will receive a sufficient number of “red” flash passes to accommodate any adults who have such permission. We require families to provide on our student registration form the names of any adults who have permission to pick up their children. To avoid an absence, students may switch temporarily the day they attend in a given week or for longer. Parents should contact the Religious School office to notify us of the day(s) their child will need to switch.